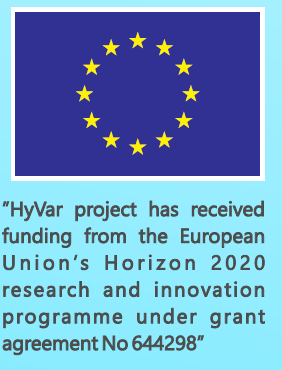 (O4) to test HyVar’s approach as described in the above objectives in an industry-led demonstrator to assess in quantifiable ways its benefits. 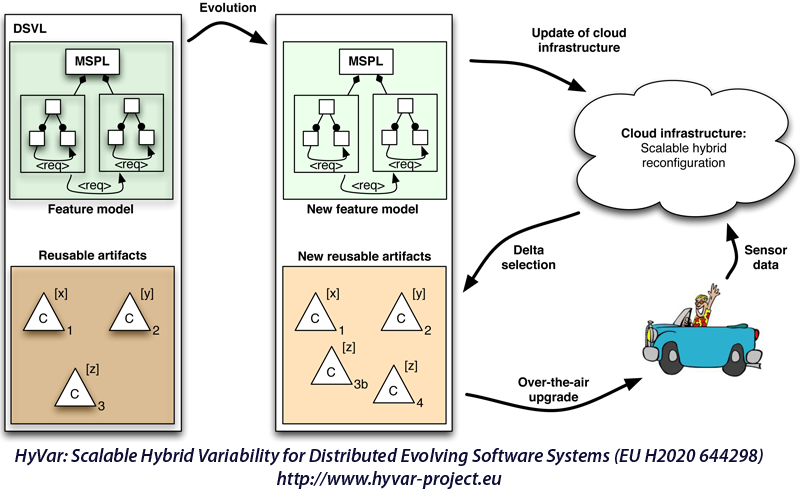 HyVar goes beyond the state-of-the-art by proposing hybrid variability; i.e., the automatic generation and deployment of software updates combines the variability model describing possible software configurations with sensor data collected from the device. HyVar’s scalable cloud infrastructure will elastically support monitoring and customization for numerous application instances. Software analysis will exploit the structure of the variability models. Upgrades will be seamless and sufficiently nonintrusive to enhance the user quality experience, without compromising the robustness, reliability and resilience of the distributed application instances. To maximize impact and innovation, the consortium balances carefully selected academic and industrial partners ensuring both technology pull and push.